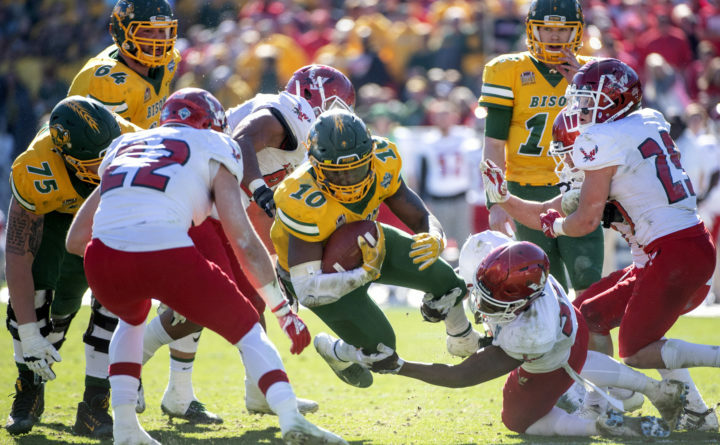 FRISCO, Texas — Easton Stick ran for three touchdowns and threw two quick scoring passes to Darrius Shepherd in a wild start to the second half as North Dakota State won its record seventh FCS championship with a 38-24 victory over Eastern Washington on Saturday. North Dakota State: The Bison had been tied with the six FCS (formerly Division I-AA) titles Georgia Southern won before it moved to the FBS level. … Klieman matched the four FCS titles won by Jim Tressel as coach of Youngstown State before he won a national title at Ohio State. Klieman and Stick went out with multiple championships in their final game, just like coach Craig Bohl and quarterback Brock Jensen five years ago.